Health Coach Jobs | Health Coach Resource: Grandma inspired four generations! "I am so happy that my Grandma Eileen chose to get well ... 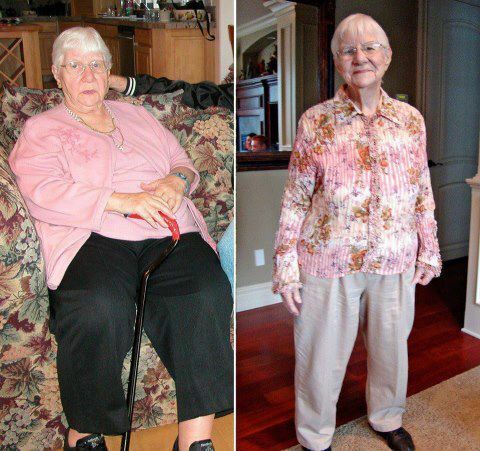 When she took off 110 pounds, she gained years of quality life!!!" My youngest grandson and his wife were going to have twins, and I wanted to be there to give them hugs and kisses. At 237 pounds, I knew I needed to lose some weight. My family had made tremendous changes in their health by adopting Dr. A’s Habits of Health, so I decided to try it out, too ... I feel terrific for my age. I do volunteer work, socialize with family and friends, and got off most of my medications. My family tells me I’m their hero!" It is amazing what our Program can help people do! And age is not a factor. Do you have a loved one who needs health? Message me… it is always a good time to improve quality of life. How Do I Feel About Success? Wendy's Story - a Mom gets her "Baby Weight" off! Honoring Father's Day one more time!